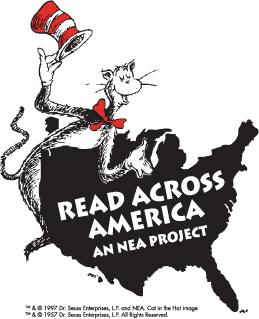 Each volunteer read two Dr. Seuss books to a small group of students and according to Executive Director Donna Weber, there were a total of 280 students involved in the program. After the reading sessions Dr. Evers addressed the CWA staff, volunteers and students. On another issue the CWA was recently selected as one of only two schools to be named as a Wisconsin School of Character. The school received the award for its rigorous academics and character education. CWA students are taught core values to help them become respectful, responsible contributing members of the school community. Acting on these values helps children build character - driven skills that can last a life time. Thanks to everyone who attended or took part incuding Elmbrook Rotary Club members, CWA Board members and guests.